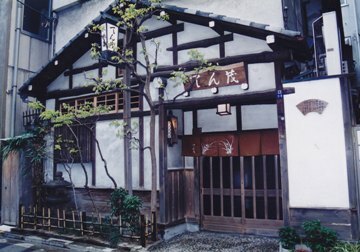 Tenmo originates in 1885,when Mosaburo Okuda started his business serving tempura at sidewalk stalls. 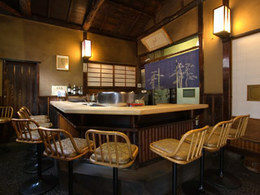 Later in 1907,he closed this mobile style tempura shop and opened a restaurant at this site. This building was rebuilt 1947. Ever since its founding. 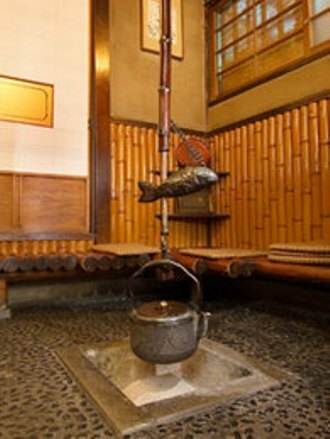 Tenmo continues to preserve the original Edo-mae-cooking style by usingsesame oil for frying. Enjoy seasonal changes of seafood and vegetable,starting from ice fish (shirauo)and butterbur sprout (fuki-no-toh) in spring time ,ayu(ayu),Japanese whiting (kisu),dragonet(megochi),and salt water eel(anago). Abalone(awabi)in summer time and silverskinned sweet chestnut(kuri-no-shibukawa-age)*　in autumn time is quite popular among our guests. Close to Mitsukoshi-mae Station of Tokyo Metro 2min.